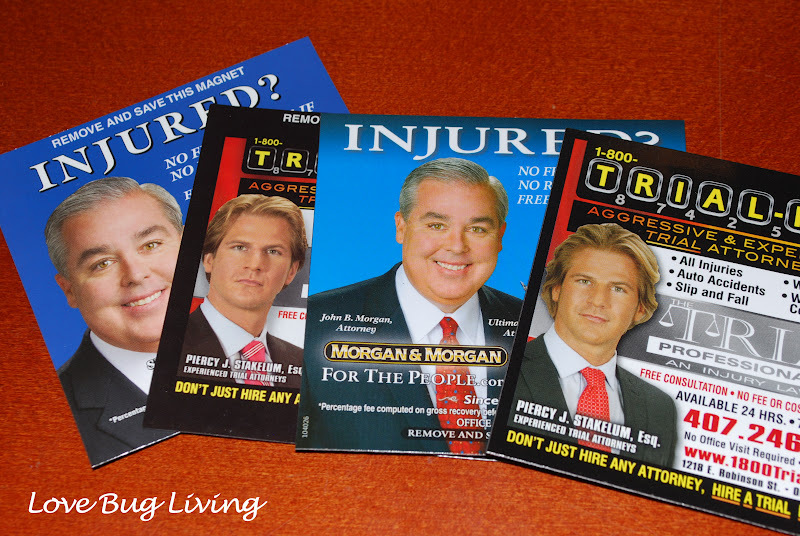 Every year we get about six phone books left on our door step. 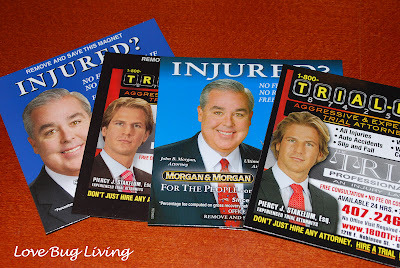 Almost every one of those phone books has a magnet advertisement, usually from a lawyer. It seems that many companies give out these magnets for you to put on your fridge. I have pizza places, walk-in clinics, vets...you name it. While I'm not actually going to put these on my fridge to use to call any of these places, I thought I should use them somehow. Why not put things on there that you would like to see on your fridge or even your car?! Everyone has that list of phone numbers that they need available at all times. You know, like the doctor's office. My children's doctor has cute train ticket business cards with their number on it. I have one stashed near the fridge in case of an emergency. It would be much easier to keep track of if it was its own magnet. All you need is your magnet, business card and some mod podge. Apply a layer of mod podge to the back of your business card. 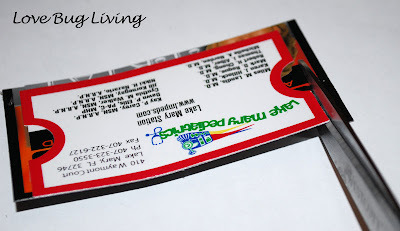 Adhere it to your magnet and allow to dry. 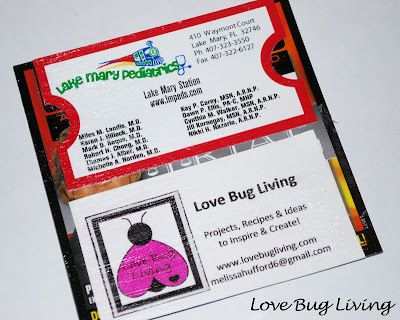 I applied a few layers of mod podge to the top of the card, allowing to dry in between each layer. Using a sharp pair of scissors, carefully cut around the edge of your card. That's all there is to it. Now you have all the information you need to call the Dr. and it won't get misplaced! Business cards are handy and all, but what if you wanted something a little more fun? How about using pictures! 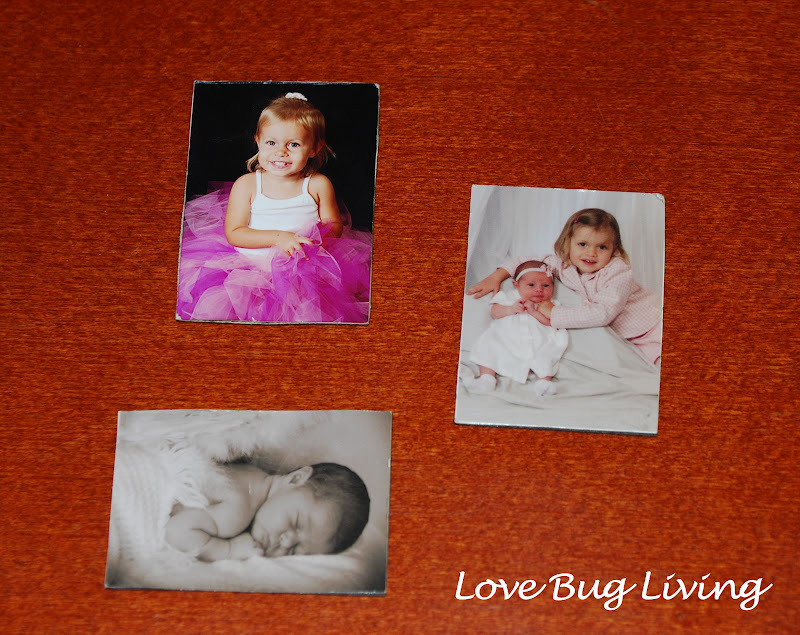 Whenever we buy the photo packages of the kids pictures, we always get those mini sizes in the package. You always get quite a few of them too since they're small, but we don't really know what to do with them. Well, they make great magnets. 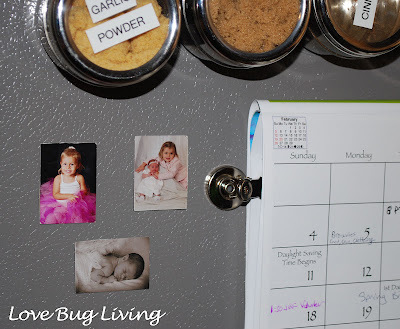 Following the same instructions, adhere your photos to your recycled magnets! Add a new picture each year and you will have a collection to show how your kids have changed through the years. That's not all you can do with those magnets either. How about the car magnets that everyone has these days. They do cost more than your normal bumper sticker. Why don't you just buy the bumper sticker and make it into a car magnet?! Maybe you just finished your first half marathon! 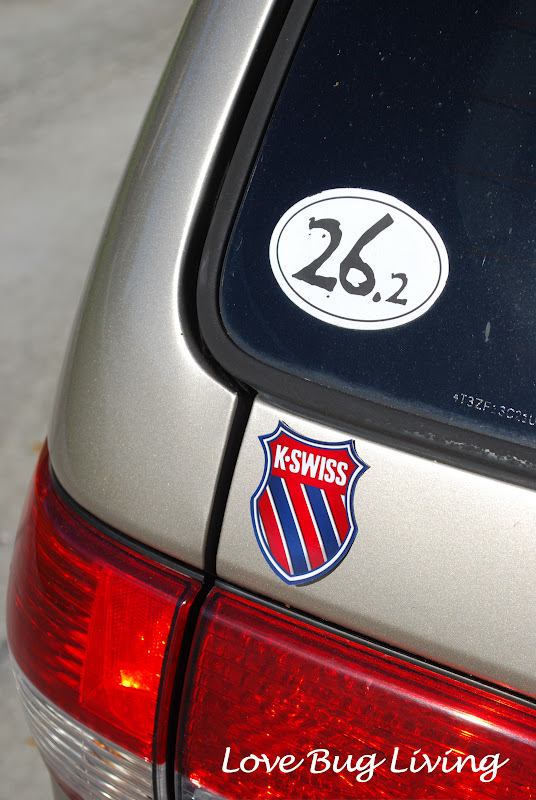 Buy that 13.1 sticker with pride! 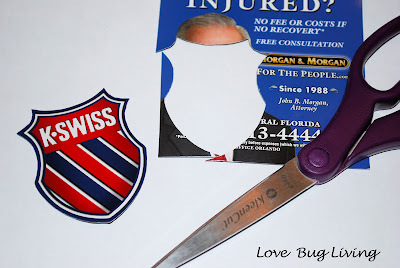 Stick your sticker onto your recycled magnet and simply cut it out. It's ready to slap on the back of your car. These would be great for your favorite sports team sticker, your last vacation stop, or the kid's honor roll sticker. That way you always have the option of taking it off the car without ruining anything. Don't like the look of stickers on the car? 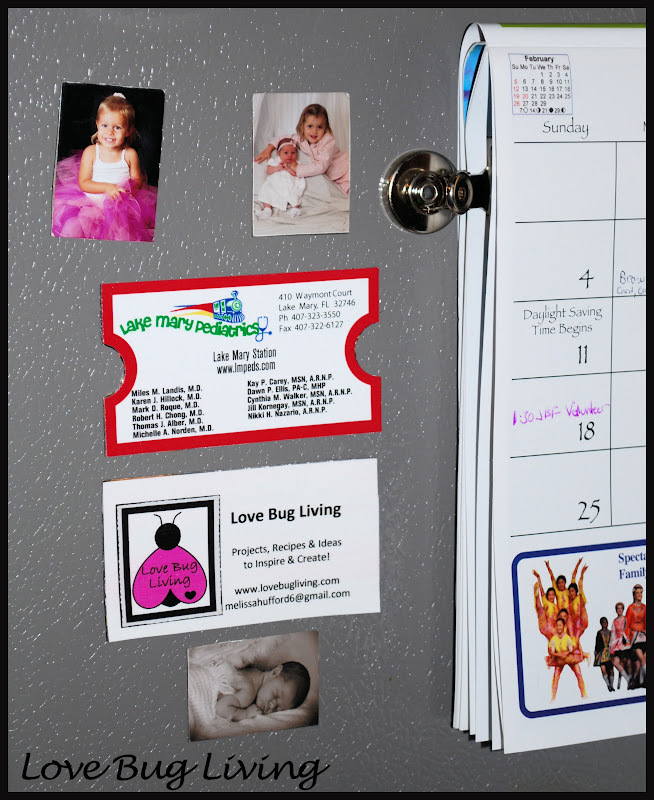 Display the kid's honor roll sticker or any of your favorite stickers on the fridge, and that way you will get to enjoy it every day! What an awesome idea! I would have never even thought about doing this. Thanks for sharing! Love this idea!!! I never know what to do with those very small pictures! Thanks!